Dr. Jessica Leong (President, TAAS) in February 1993, became the first Asian Transactional Analyst to be awarded the Goulding Award for Excellence in TA Theory and Practice. She is currently the director of J.C. Integra Consultancy Services and Clinical Director of the Executive Counselling & Training Academy Pte Ltd. She provides employee counselling for multi-international companies. She is the CEO of the Berne TA Center Pte Ltd.
She is the co-author of three TA books and has written several TA articles. Jessica has presented TA papers at international conferences, and has also been an International Examiner for candidates seeking certification in Transactional Analysis. She is also the editor for the International TA Associations Journal. Seet Mui holds a Master of Social Science in Professional Counselling (Swinburne University of Technology (Australia) and is currently a SAC registered counselor and clinical supervisor. She has successfully completed the DiSC Dimensions of Behaviour Accreditation and the WSQ Advanced Certificate in Training and Assessment (ACTA). During the 3rd and 4th International-Singapore TA Conference, Seet Mui co-facilitated concurrent workshops entitled ‘Redesigning a Healthy ME – The TA and CBT Way’ (Oct 2007) and ‘Using TA to Enhance Relationships’ (Nov 2011). Sean Ng Chye-Shin (Hon. Secretary, TAAS) has been serving in the Ministry of Education (MOE) since 2006 and has 10 years of counselling experience working with children and their families. He graduated with a Bachelor of Arts in Psychology at the University of California, Los Angeles (USA) in 2001, and attained his Masters in Professional Counselling from Swinburne University of Technology (Australia) in 2010. Sean chaired the International-Singapore Transactional Analysis (TA) Conference in 2011. He is profoundly influenced by the philosophical tenets of TA and desires to live and breathe TA in both his personal life and in his professional capacity as a school counsellor. He is married to a school teacher and both of them are proud parents to a charming and spontaneous 3-year-old daughter. Reena Goenka (Hon. Treasurer, TAAS) holds a Masters in Social Science & Professional Counselling, from Swinburne University of Technology, Australia and a Post-graduate Diploma in Clinical Hypnotherapy from London College of Clinical Hypnosis. She is also trained in EMDR and has a certificate from Swinburne University of Technology for Cognitive Behaviour Therapy. She has WSQ Advanced Certificate in Training and Assessment (ACTA). 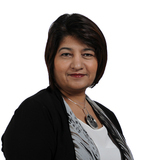 Reena is a practicing counsellor, clinical hypnotherapist and EMDR therapist. Her past experience includes working as Conference Secretariat for the 4th International Transactional Analysis Conference 2011. Her present portfolio includes counselling students, personal counselling for families, couples and individuals. Reena also conducts group workshops for parents, children etc. She is currently pursuing her journey to be a Certified Transactional Analyst (CTA) under the supervision of world renowned Transactional Analyst, P.K.Saru.